Customer Support and Services are the pillars of any company. 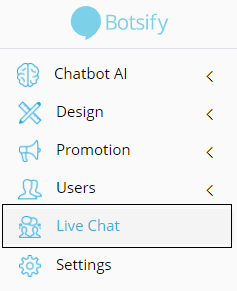 This Live Chat feature enables you to connect with the user in real-time to provide immediate customer support. You will be directed to a new window with all the conversation record you had with your users. Let me break down the window in different sections to help you understand it better. 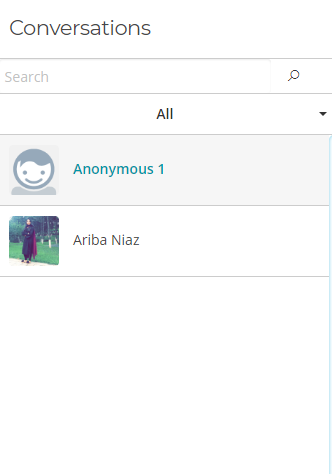 On the left we have a list of users which had a conversation with your chatbot. 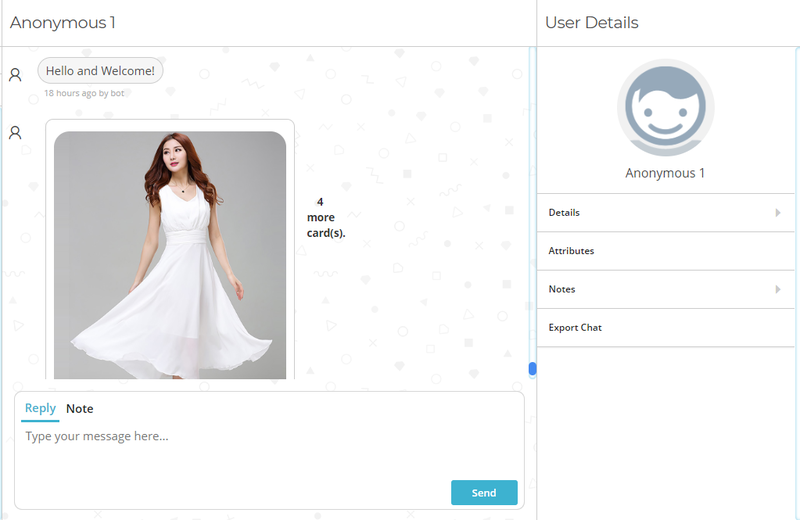 You can select the users individually to see if they are your potential buyers and their requirements. In the middle we have the conversation which took place between the user and your chatbot. You can see all of the attributes this user has. You can also save notes to list down important information and avoid reading the chat again and again which saves your time. 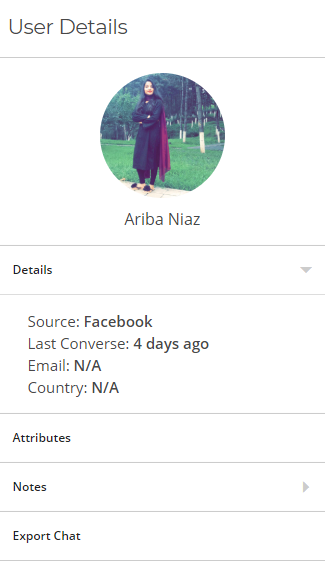 Export chat will download the entire chat of the selected user to your computer. In order to start a conversation with your user, you will first need to Deactivate your chatbot for that particular user. To do that, simply select the “Inactive” option from the drop-down. After you’re done conversing, don’t forget to re-activate your chatbot. To do that, select the “Active” option form the drop-down. Live chat feature is helpful in a way that you can easily cater to your customer needs by providing them exactly what they’re asking for by communicating with them directly.